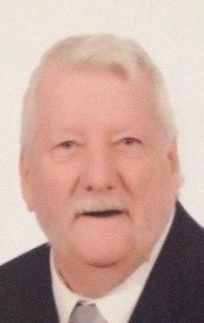 Wayne A. Harlow, Sr, 77, of Biddeford, passed away peacefully Thursday, March 21, 2019 in Scarborough at the Maine Veterans Home. He was born on July 25, 1941 to Letha Harlow Milewski. He attended Saco schools. On July 3, 1963 Wayne married Nancy Pelletier at St. Joseph’s Church, Biddeford. He served in the Army from 1967 –1969 during the Vietnam era. He was shot twice during the Tet Offensive and was awarded the Purple Heart for his bravery. He was the owner of The Bait Shop, Biddeford with his wife for over 30 years. He worked for The State of Maine – DOT for 20 years, retiring in 2009. Wayne enjoyed fishing, hunting, attending local fairs, listening to old country music and spending time with his family and grandchildren. He loved to retell stories of his past – which could always get a good laugh or his normal “Why”. He is predeceased by his wife Nancy in 2011. We would like to thank all who have assisted with his round the clock care this past year at the Maine Veterans Home and his private duty nurse Stephanie.